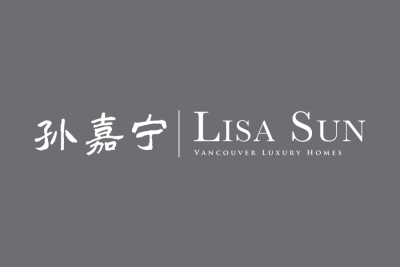 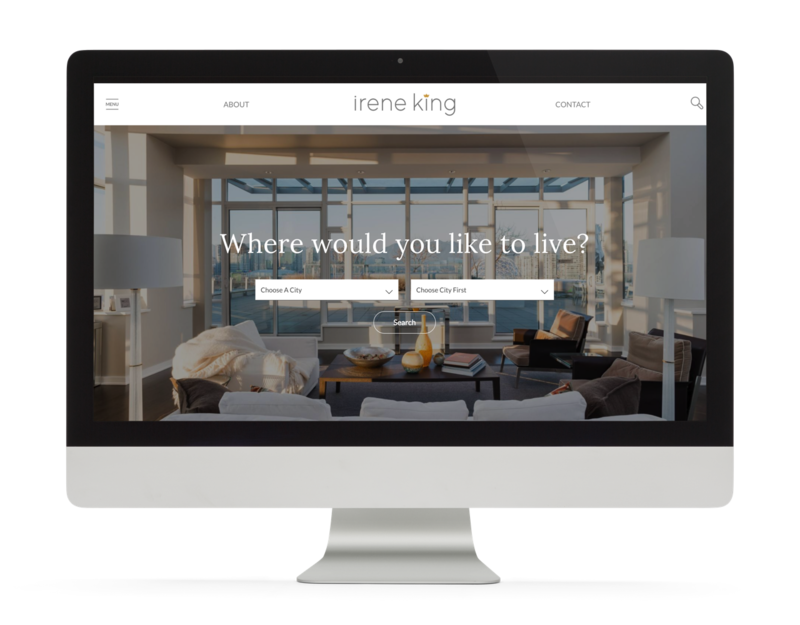 We helped Irene’s entry into the competitive Vancouver real estate market a breeze with an elegant brand design. 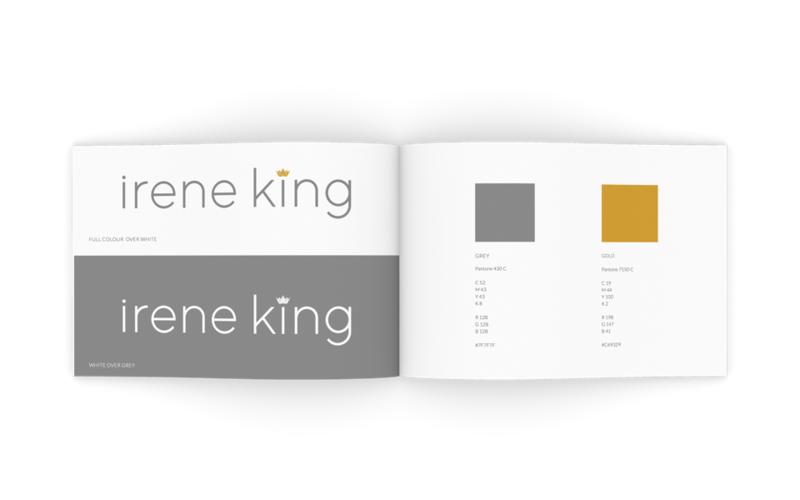 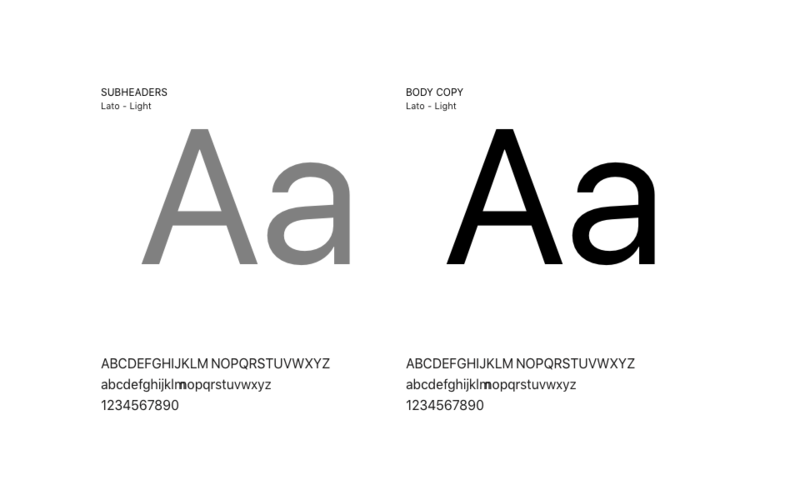 Carefully selected type faces with a play-on-word emphasis of a crown on the letter i, this clever and beautiful logo suits Irene perfectly. 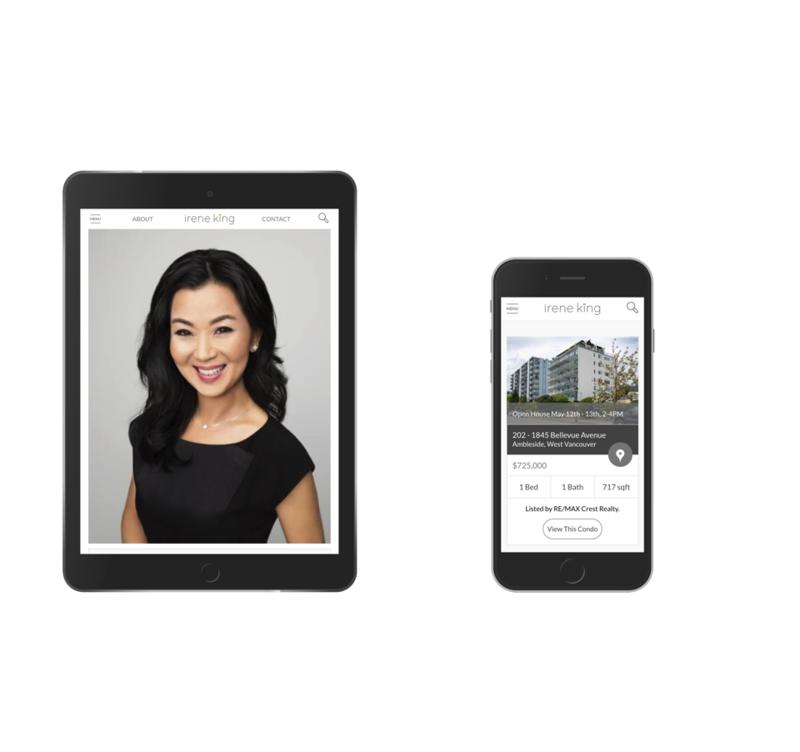 Portraying who you are in the best creative design is a huge part of the branding philosophy at Brixwork. 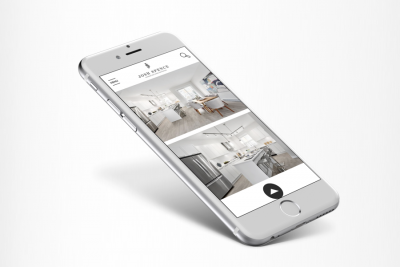 Buyers rejoice! 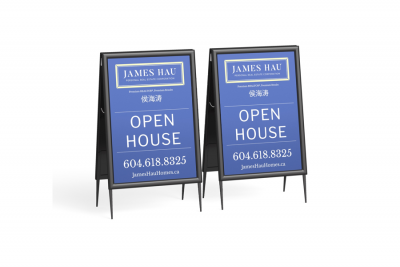 Our custom designed commission calculators, as well as the PTT (Property Transfer Tax) and GST Rebate calculators is a great tool to entice home buyers with. 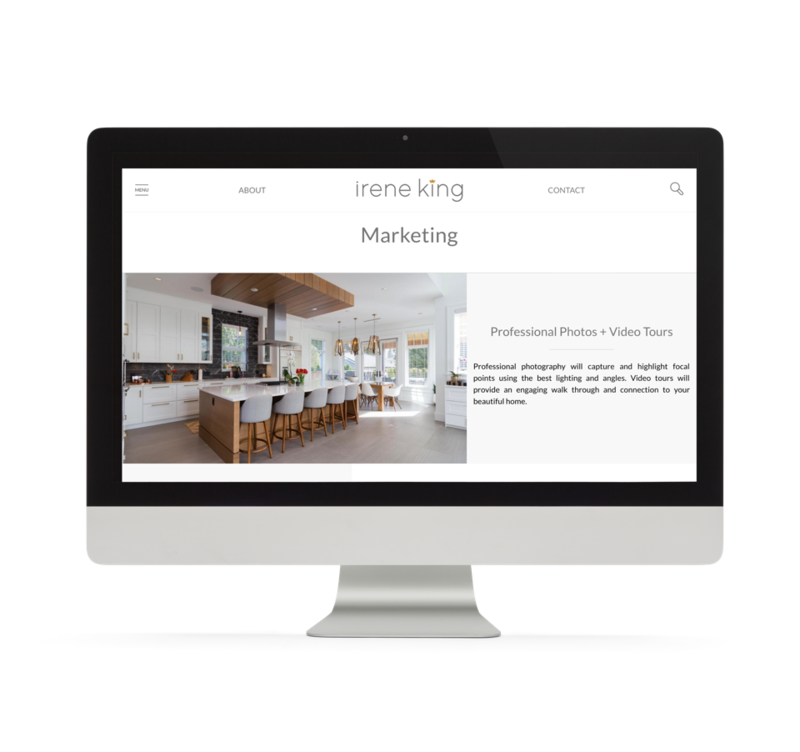 Each installation is fully branded, as you can see on Irene’s calculators page, to meticulously portray your image well. 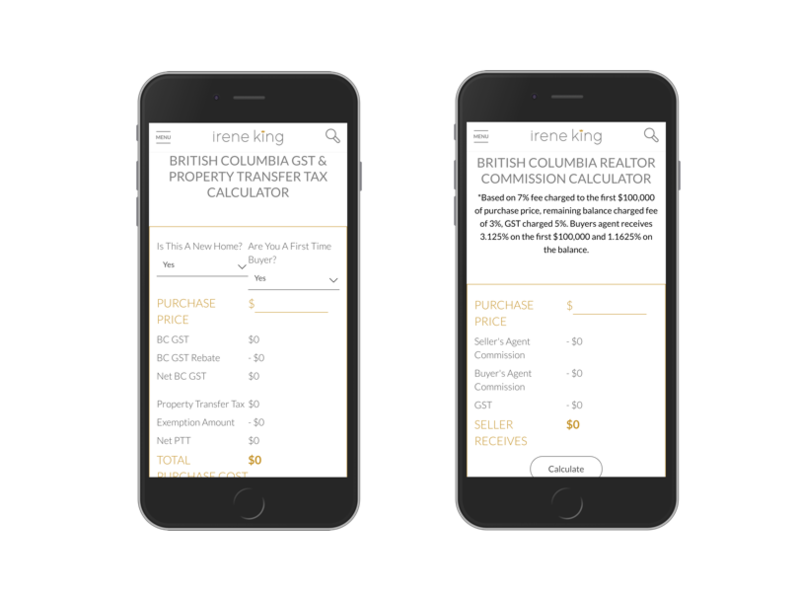 The commission percentages can be updated by each Realtor®, while Brixwork maintains the calculator percentages as the laws change.